In the several weeks leading up to the 2016 US elections, Frederic Iweins journeyed through the heart of Trump's America. Travelling from the post-industrial towns of Dixieland to the clapper-board conservative states of the confederate deep south, he uncovered the radical and remote fringes of America. These photos capture a surprising picture of the world's most powerful country. It's a picture of an abandoned America; of dilapidated communities, post-industrial landscapes and of an antagonistic atmosphere, on the brink of revolution. 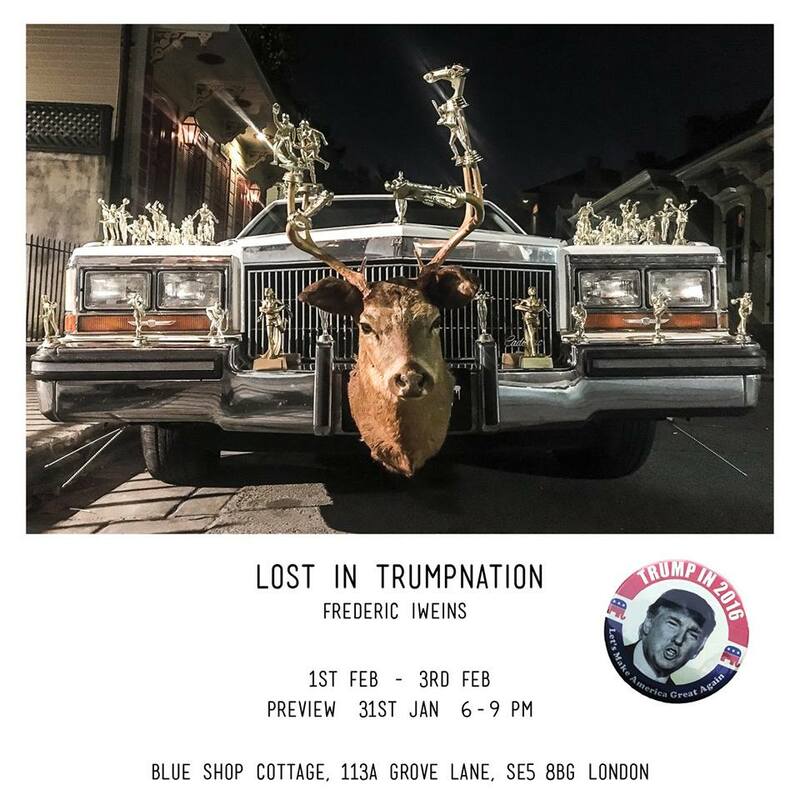 Join at the Blue Shop Cottage to experience the aggression, ecstasy and euphoria behind Trump's revolt.